Christopher Lang thrilled to be holding his Pass Certificate after passing his test first time today. The examiner complimented Chris on a superb drive with only 2 driver faults and also the high standard of candidates that Drivewell Driving Academy present for test. A great achievement for Chris from his positive attitude to learning, hard work and plenty of private practice with his parents. 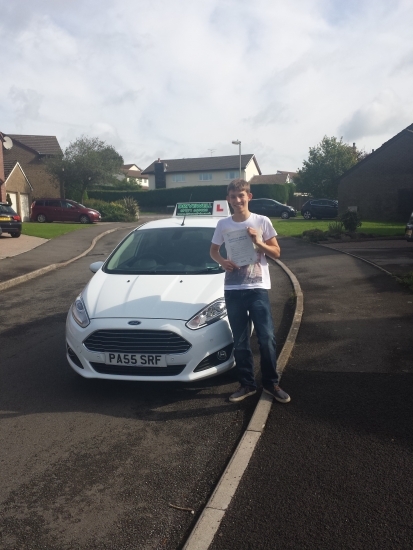 Chris did well to pass first time following in his older brother´s high standards set, both passing first time just over 3 months after their 17th birthdays. Congratulations again enjoy your driving and keep safe like Ross. Sarah 30th August 2014.